There’s a new world record in bowhunting, and our friends in the north have some very impressive bragging rights. 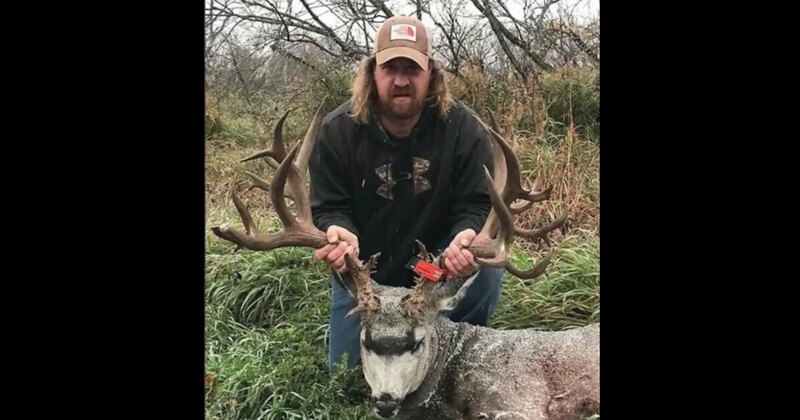 This week, the Saskatchewan Wildlife Federation confirmed that a Canadian deer hunter has raised the bar by taking a mule deer which broke not only the provincial record, but a world record as well. “On October 1, 2018, Saskatchewan Wildlife Federation member, Dennis Bennett, arrowed the deer of a lifetime in the Arm River area of Saskatchewan. This Non-Typical Mule Deer was panel measured by official Henry Kelsey measurers on October 7/18 and scored 293 6/8,” the federation explained. Although the record-breaking arrow shot was made in October, officials were carefully confirming the measurements of the animal before making the announcement. “The deer also broke the world record as classified by the Pope and Young Club, which records animals taken by archery only. The previous record was set by Kennet Plank in 1987. Pope and Young scored Bennett’s deer a 291-1/8,” confirmed the Saskatoon Star Phoenix newspaper. “Bennett’s Non-Typical Mule Deer entry now joins Milo Hanson’s Buck (White-tailed Deer) as another recognized world record harvested from Saskatchewan,” said Warren Howse from the SWF. “It is indicative of the quality of wildlife resources we cherish here in our province,” he continued. The deer was harvested near Arm River, which is about 80 miles south of Saskatoon. As you might have guessed, the area is very rural with vast areas of wilderness. It was no easy shot. Dennis spent all day stalking the deer before he was in a position to finally take a shot.